4 photographs : b&w ; 4.5 x 6.5 in. and smaller on paper 8.5 x 11 in. 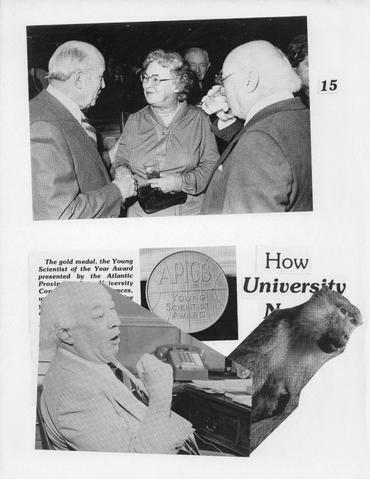 Item is a collage or scrapbook page of photographs of Henry Hicks, Gene Hicks, and unidentified man, the APICS Young Scientist Award, and a baboon.